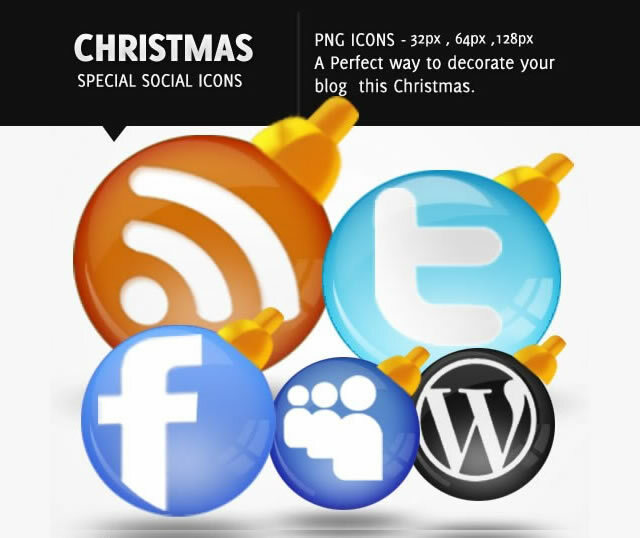 This post is a little bit early, but it is best to be prepared – Christmas is coming and if you're looking for something to bring some Xmas cheer to your website this year you will be glad to know that there are a lot of social media icon options to choose from. 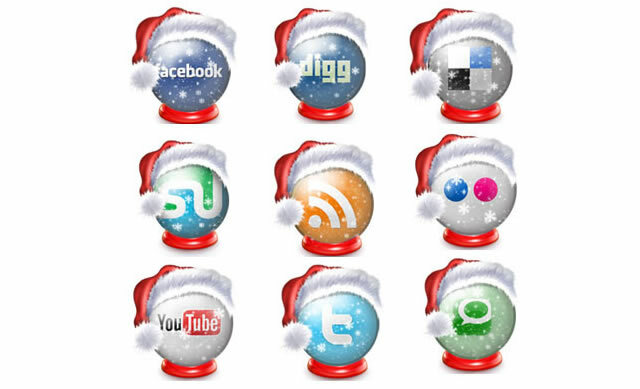 What better way is there to say Merry Christmas to your readers. 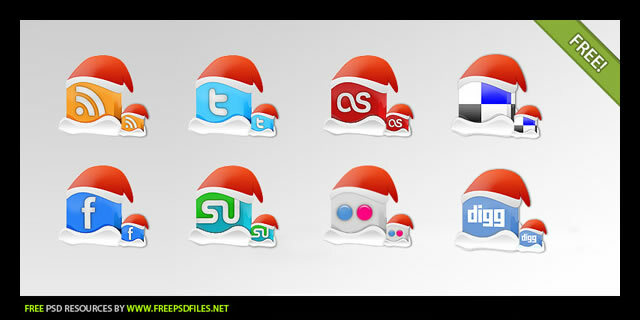 In this post we have collected a selection of Christmas related social bookmarking icons, such as for Twitter, Facebook, Digg, Technorati, StumbleUpon and various others. 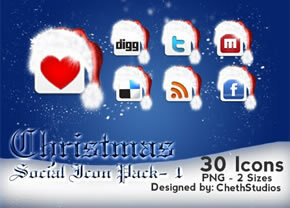 These icons can be freely downloaded, but please check the licenses of each before usage. 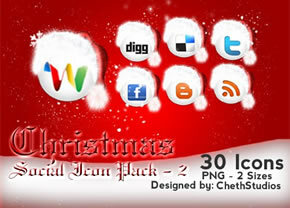 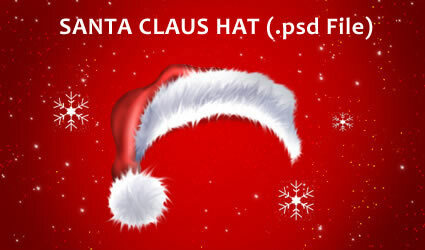 You can freely download this Santa Claus Hat PSD template and decorate your own logo and icons.